And So We Make Art has announced a limited engagement of Jacob Marley’s Christmas Carol, written by Tom Mula, directed by Casey Kringlen, at Six01 Studio in downtown Los Angeles. Previews will begin on November 30, with opening night set for Friday, December 14 at 8pm and 10:30pm. Playing a total of 16 performances only, the run will end on Saturday, December 29. Jacob Marley’s Christmas Carol is a contemporary fairy tale that reignites the classic Dickens story. Chained and shackled, Marley is condemned to a hellish eternity and even given his own private tormentor: a malicious little hell-sprite who thoroughly enjoys his work. Desperate, Marley signs his very last contract in an attempt to free himself. To escape his own chains, he must first redeem Scrooge. And so begins a journey of laughter and terror, renewal and redemption. Can Scrooge’s heart be cracked by someone as wicked as himself? The cast of four will tackle many roles, and control all the lights, sounds, and effects themselves. In alphabetical order, they are Keri Blunt, Jeff Elam, Ian Andrew Jones, and Travis Stanberry. The production design is by Robert Corn, who also provides technical direction. The stage manager is Caitlin Leong. Preview performances of Jacob Marley’s Christmas Carol are on Friday 11/30, Saturday 12/1, and Thursday 12/13 at 8pm and 10:30pm. Opening night is set for Friday, December 14 at 8pm and 10:30pm. The final six performances are Fridays, 12/21 and 12/28, and Saturdays, 12/22 and 12/29, at 8pm and 10:30pm. 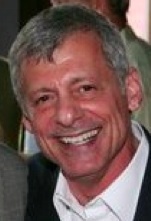 Tickets may be obtained online at http://www.brownpapertickets.com/event/298333, or by calling (800) 838-3006. Admission is $20 for previews, and $34 for regular performances. 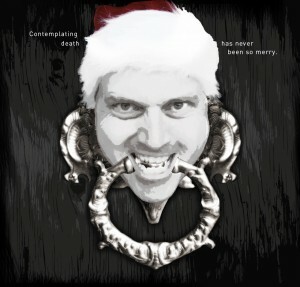 For more information on Jacob Marley’s Christmas Carol and for Kickstarter donation info, visit www.xmasDTLA.com. Six01 Studio is located at 601 S. Anderson Street, in downtown Los Angeles. For more info on the venue, visit www.six01studio.com.